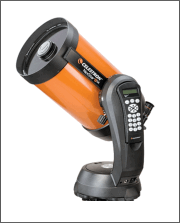 The Celestron PowerSeeker 127 EQ Telescope is a marvelous way to open up the miracles of the Universe to the aspiring astronomer. The PowerSeeker was designed to provide the first time user the most perfect combination of superior quality, value and power. 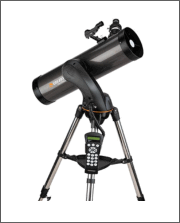 Celestron’s PowerSeeker telescopes are quick and easy to set up even for a novice, and are probably the most suitable option for an inexpensive premium quality telescope, that will provide endless hours of enjoyment. 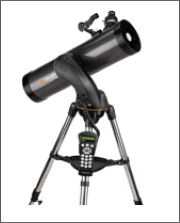 Their strong equatorial mounts are ideal for tracking objects in the night sky, and their collapsible alt-azimuth mounts are perfectly suited for terrestrial viewing as well as astronomical use. 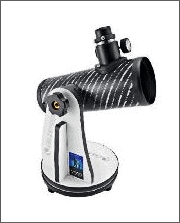 All of Celestron’s PowerSeekers include a complete range of eyepieces, plus a 3x Barlow lens that delivers an increase in observing power many hundreds of times greater than that of the unaided eye. PowerSeekers have been designed and manufactured making use of fully coated glass optical components with high transmission coatings for enhanced image brightness and clarity. The Sky Level 1 SoftwareLocate and identify thousands of celestial objects on your laptop or PC with “The Sky®” Level 1 software included FREE with every PowerSeeker model.